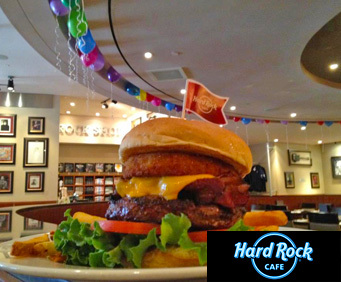 The Hard Rock Cafe in Lake Tahoe is located at Harvey's Resort and Casino, not far from the Heavenly Ski Resort and beautiful Lake Tahoe, and offers up a spread of American cuisine surrounded by rock 'n' roll memorabilia. 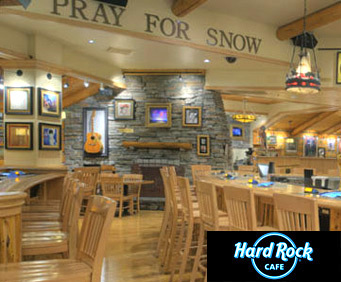 The décor at the Hard Rock Cafe is reminiscent of an Alpine ski lodge, providing a casual and relaxed atmosphere. 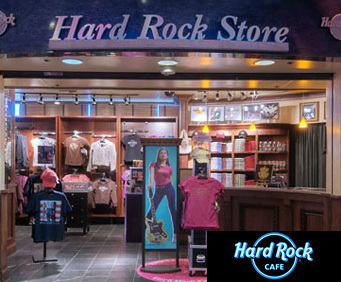 In true Hard Rock Cafe style, musical memorabilia is found throughout the restaurant. And there is no need to take a break from your gambling to enjoy your meal. The restaurant's triangular bar in the center of the restaurant features 18 video poker machines where you can test your luck and skill. The food at the Hard Rock Cafe incredible. In fact, Nevada Magazine rated this restaurant as having the best burger in the state! You can chow down on a cheeseburger, try the BBQ sandwich, or delight in many other delicious options. 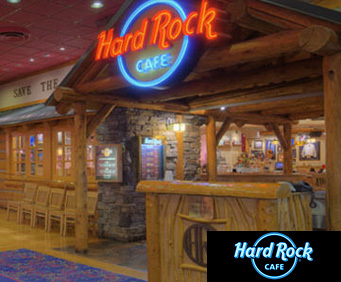 So saddle on up to the Hard Rock Cafe in Lake Tahoe and enjoy delicious food, great music, and casino games!